Obituary for Charlotte Ritch | Résidence Funéraire Fawcett Funeral Home Inc. 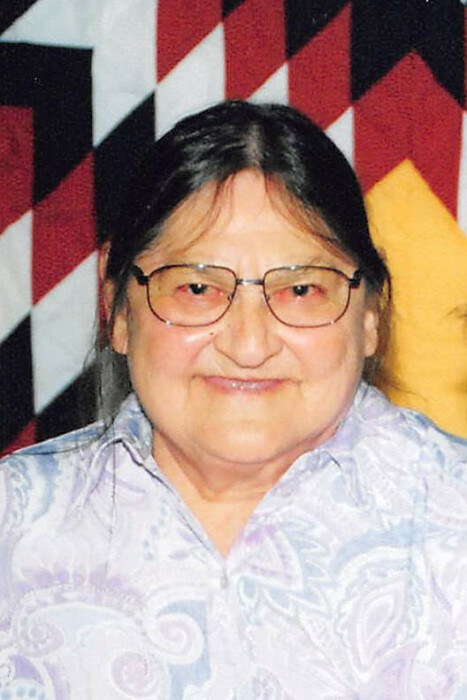 The family announce with sorrow her death at the Geraldton District Hospital on November 11, 2018 at the age of 92. Beloved wife of the late Christopher Ritch and dearest mother of John (Gloria) of Nakina, Josephine (Mike) of Hornepayne, Christopher Jr. (Theresa) of Aroland, Nancy (Paul) of Geraldton, Sandy (Marianne) of Aroland, Elaine (Charlie) of Aroland, Elsie (Howard) of Aroland, Caroline of Nakina, Alice of Earfalls and David (Denise) of Thunder Bay. She is survived by her sister Mina Baxter of Thunder Bay. She will be sadly missed by her numerous grandchildren, great grandchildren and great great grandchildren. Charlotte is predeceased by her parents George Baxter and Josephine (nee Iserhoff), brothers Johnny, David, Gilbert, Eli and Elias and sisters Emily, Agnes and Pearl. Family and friends are invited to visit on Tuesday November 13th as of 1:00pm at 122 Northwood Drive in Nakina. A Funeral Service will be held on Wednesday November 14th at the Nakina Community Complex at 11:00am.